Shelter Building – Trail Blazer Survival School, Inc. 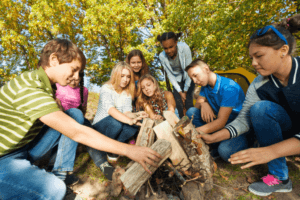 In a wilderness survival situation, constructing a shelter is your number one priority. In an emergency situation, you should always remember your 3's. You can only survive approximately: 3 minutes without oxygen; 3 hours without maintaining your body temperature; 3 days without water; and 3 months without food. Your shelter starts with your clothing and continues to a structure that surrounds you. You must have an adequate shelter to maintain your 98.6F degrees. Severe weather conditions can kill you very quickly if you are not protected from the elements. 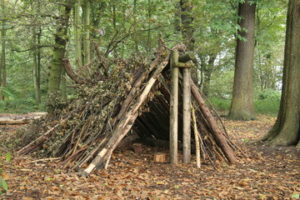 Having the knowledge to build many types of shelters is important. The one you build will depend on the materials you have available and the environment you happen to be located in.